Welcome to the wonderful world of 3-dimensional Littles. 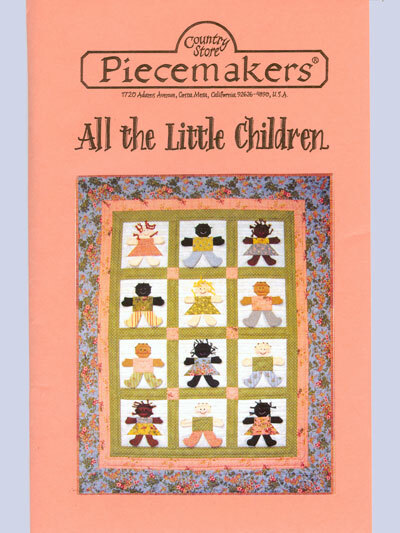 Each includes complete instructions for machine piecing the blocks and easy techniques for making the floppy ears, arms, legs, and tails. Full directions for finishing the wall hangings or crib quilts are included. A 12 block quilt alternating girls and boys, each dressed in a different outfit. Size: 34" x 41".